Google Doodle is designed today about Geminids Meteor Shower. This is a type of troglodytic phenomenon in which there is a spectacular view of fireworks at night. 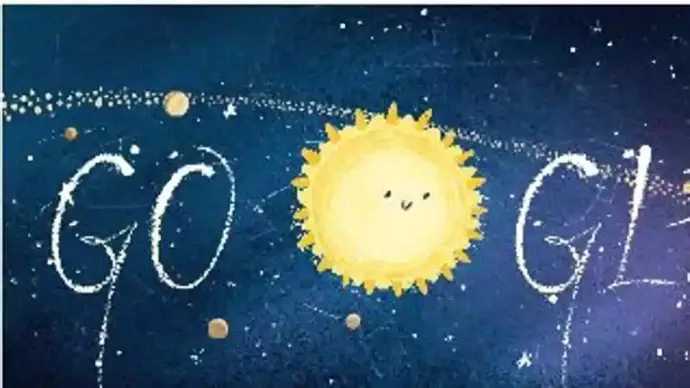 Through Google Doodle today, information about the astronomical phenomenon that is wonderful in itself and occurs only once every year. This is called Geminids Meteor Shower. Every December in the month of December, the earth passes through a place where the debris of the stones is greater, entering the Earth's atmosphere, it starts burning with friction of the wind and looks like wires. By the way, meteorites rains on Earth every day but they are so small that we can not see them, but today the meteor rain will be at its peak. There is nothing to fear in it. It is a normal astronomical phenomenon which has been on earth for millions of years. After 9 o'clock tonight, you can see it in the sky. This incident will be visible from every part of the Earth. Especially, the Northern Hemisphere will be much clearer. You can see it with your eyes without any instruments. After 12 o'clock this event will be at its peak and there will be a glimpse of any fireworks in the sky. Let me tell you that pieces of meteorite are considered very valuable and they can be worth crores rupees according to size. Many professional people also find and sell them.